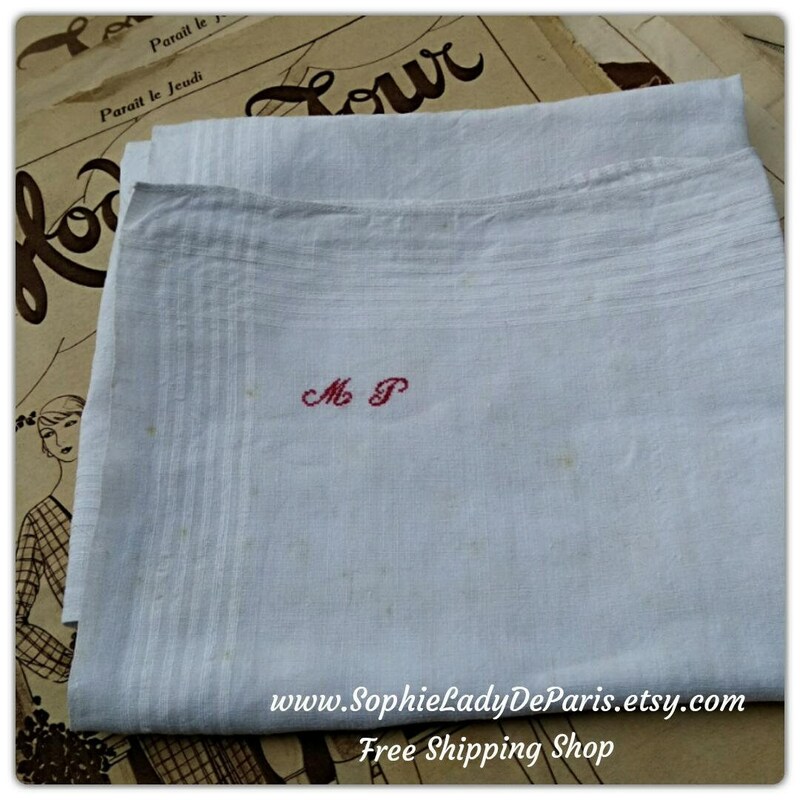 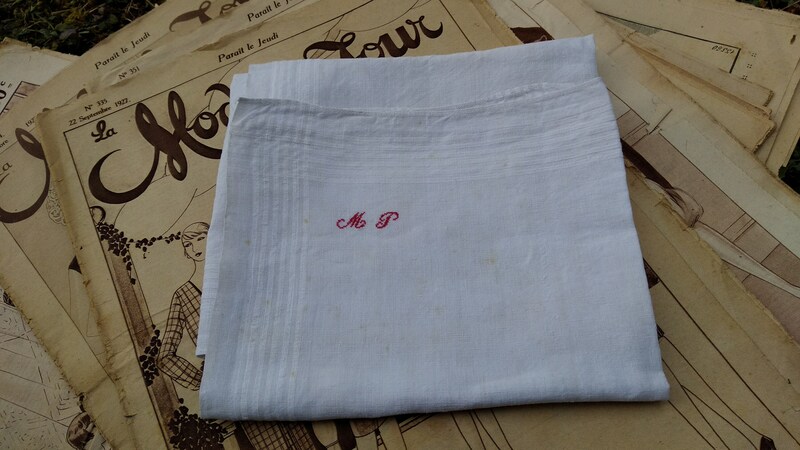 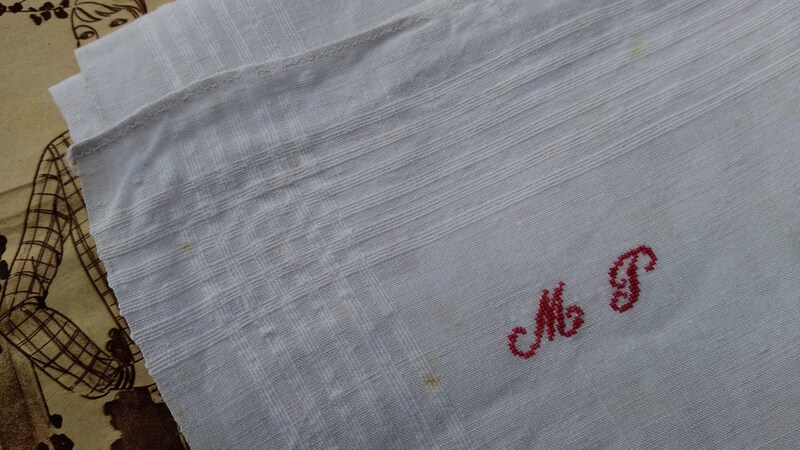 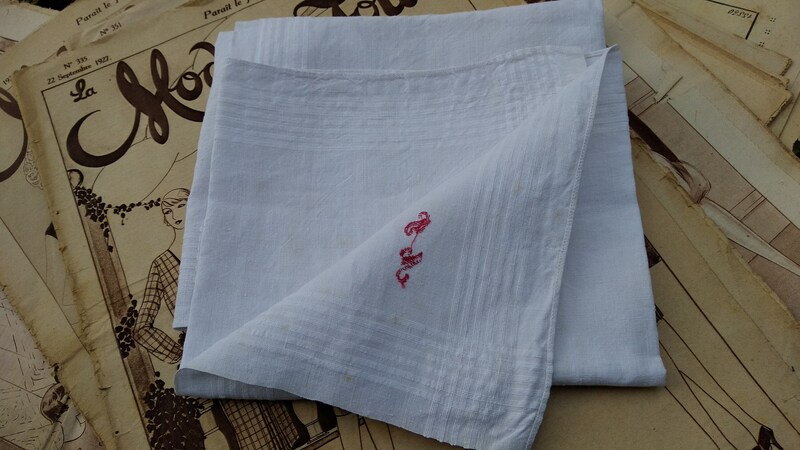 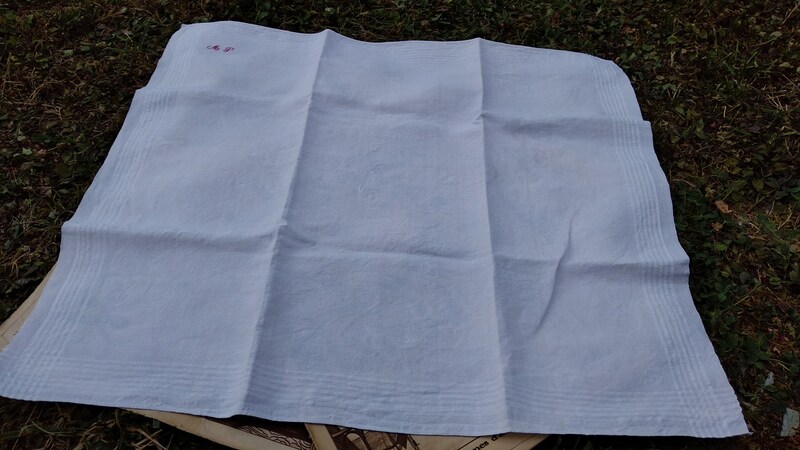 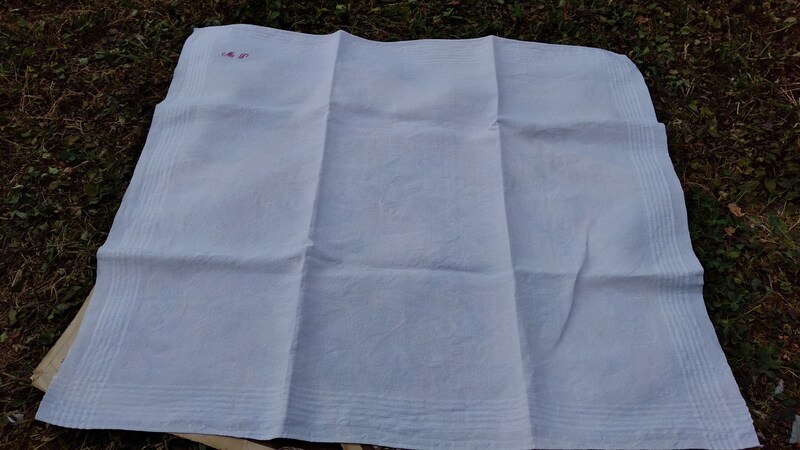 Antique White Victorian Men's hanky . 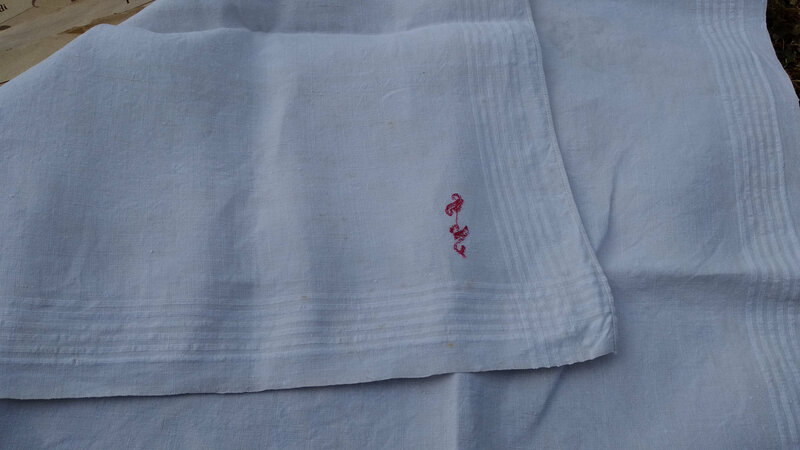 1900's Linen made. 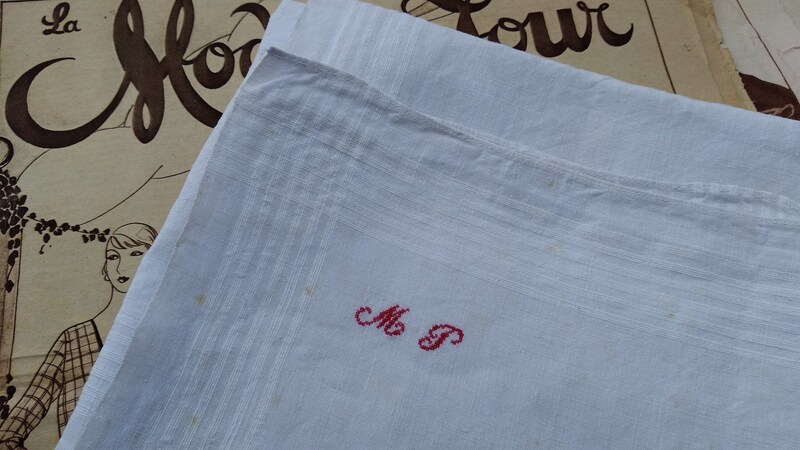 "MP " red hand embroidered monogram. 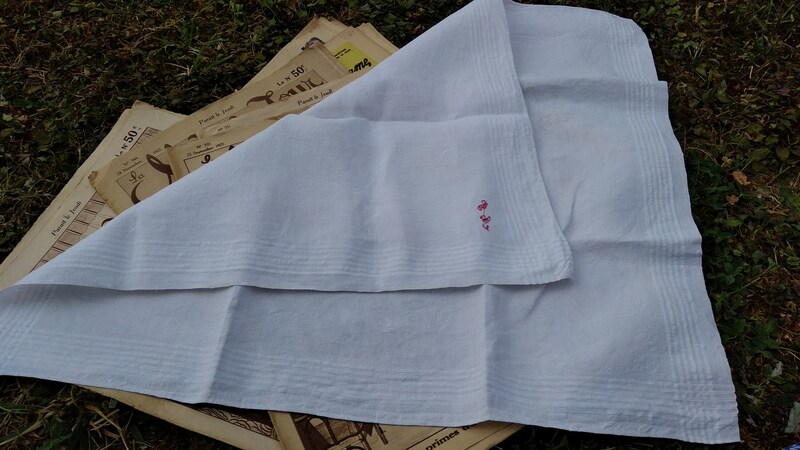 Very chic Men's linen handkerchief !